In this Stitch of the week post I want to show you this beautiful Summer granny square. I love this squares. They are beautiful, easy to make and you can make a lot of things with them. Also love that you can join them as you go. So you don’t have to grab all your squares and try to remember what was that thing that you wanted to do with them. Hope you will enjoy this pattern and you will try it. See, only 4 rows and your summer granny square is done. A group of 2, 3 or 4 dc worked together. Yarn over, insert the hook into the 1st st, yarn over pull out a loop, yarn over, pull the yarn trough the first 2 loops. Repeat 2, 3 or 4 times as pattern requires. Yarn over and pull the yarn trough all loops on your hook. Now that we know all these, let’s start. Make a magic ring and ch 3, 3 dc, ch 3, [4 dc, ch 3] – repeat the [ ] 3 times, to the end of the row. Sl st with the 3rd st of the starting ch. Pull the yarn to close the ring. Ch 3, dc3tog on the top of the 3 dc from the previous round, ch 3. [ dc4tog, ch 3, (dc 2 tog, ch 3, dc 2 tog, ch 3) – corner] – repeat 2 more times to the end of the round. Sl st with the 3rd st of the starting ch. [1 sc in the next st, ch 3, [dc2 tog, ch 3] 4 times] repeat 2 more times to the end of the round. Sl st with the ch 1 from beginning. Ch 1, 1 sc in the same st. Ch 5, 1 sc in the next 3 ch space, ch 5. Corner: 1 sc in the next ch 3 space, ch 5, 1 sc in the next space, ch 7, 1 sc in the same space, ch 5, 1 sc in the next space. [(Ch 5, 1 sc in the next space)× 2, ch 5, *corner] × 3 times, ch 5, sl st with the ch 1 at the beginning. 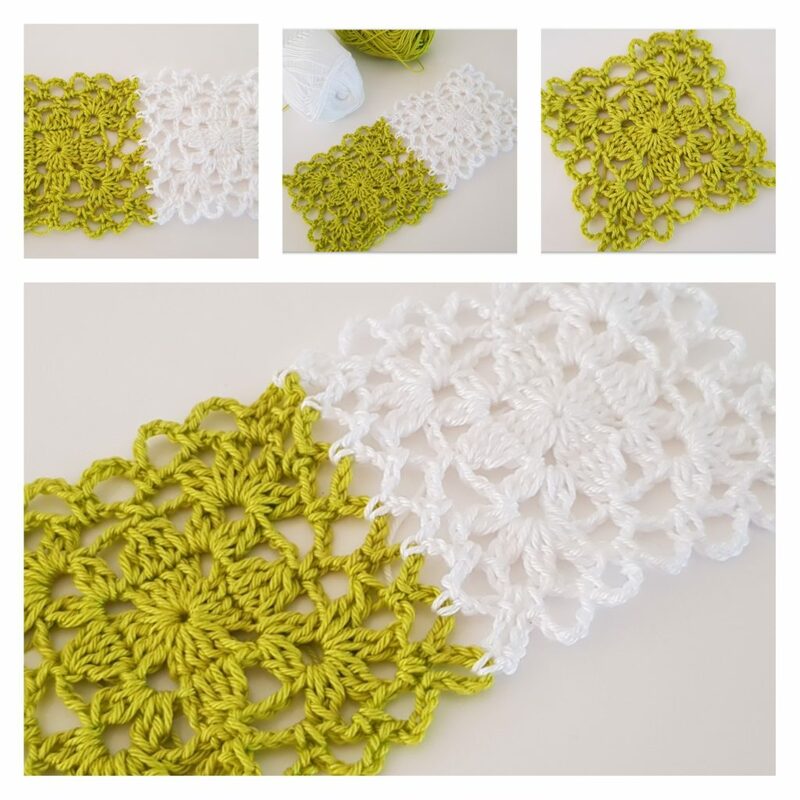 A beautiful square to use it on your summer projects. Hope you liked it and you will give it a try. 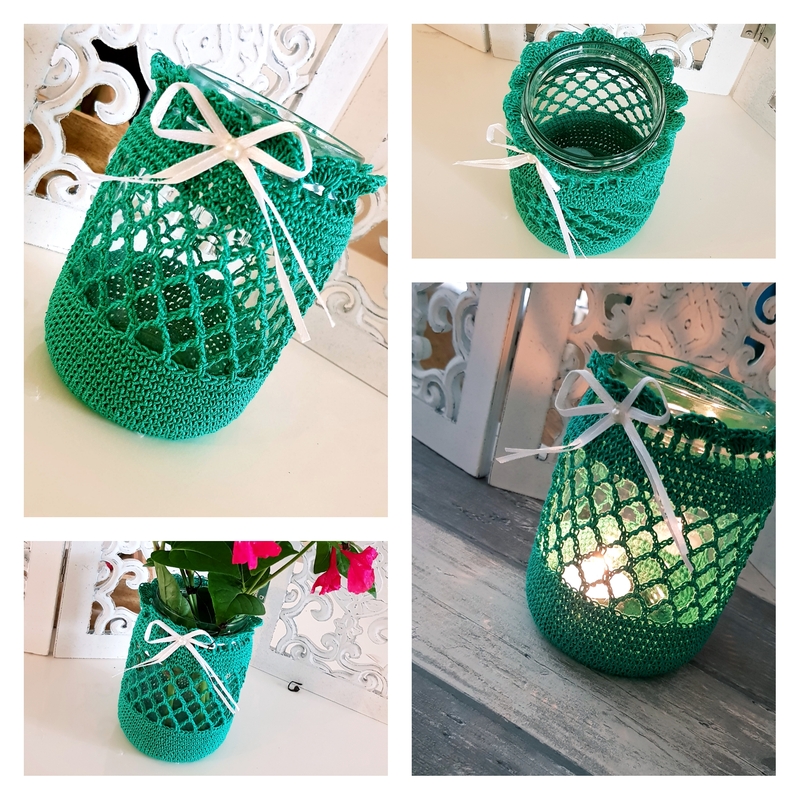 Bellow you will find the video tutorial on how you can make this summer granny square and also how you join them as you go. If you are more experienced and want to watch only a short version of this tutorial, here it is. Keep an eye on my Crochet Library Pinterest Board and you will find other interesting crochet stitches. 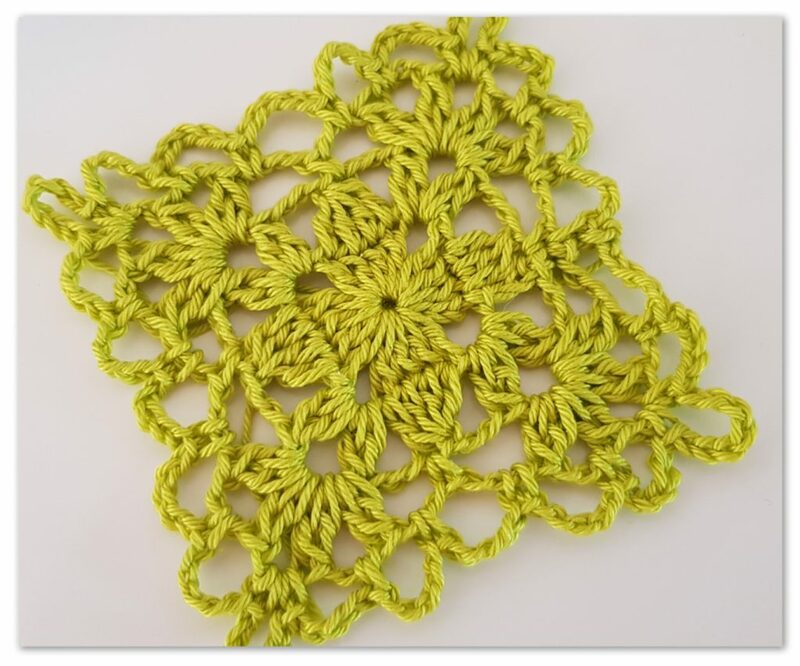 I love these summer granny squares and look forward to trying them. I like to join them afterwards so I don’t have to carry them all around. Is there a way to join them after they’re all completed? 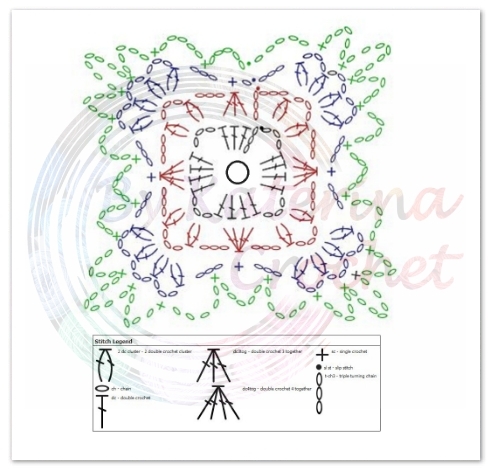 Sure wish you had included joining instructions for the summer granny square. I don’t watch videos since i’m in a rural area with only a mobile hotspot (weak signals).